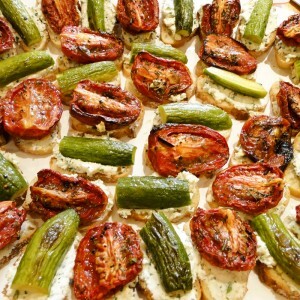 My daughter's friend Taylor introduced me to these delicious make-ahead sandwiches. When Taylor called to tell me he was bringing me a brick sandwich that he made the day before, I did not have high expectations. How good could a day old sandwich be? And what was this about a brick? I didn't get it. 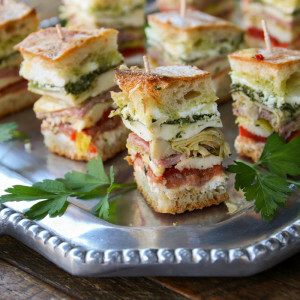 Taylor showed up with thin slices of a densely compact sandwich, layered with a variety of Italian antipasto ingredients. One bite and I was hooked. Checking around the Internet I discovered brick-pressed sandwiches are a thing that somehow I had missed. Until now. I've written a post on How to Make a Pressed-Brick Sandwich. 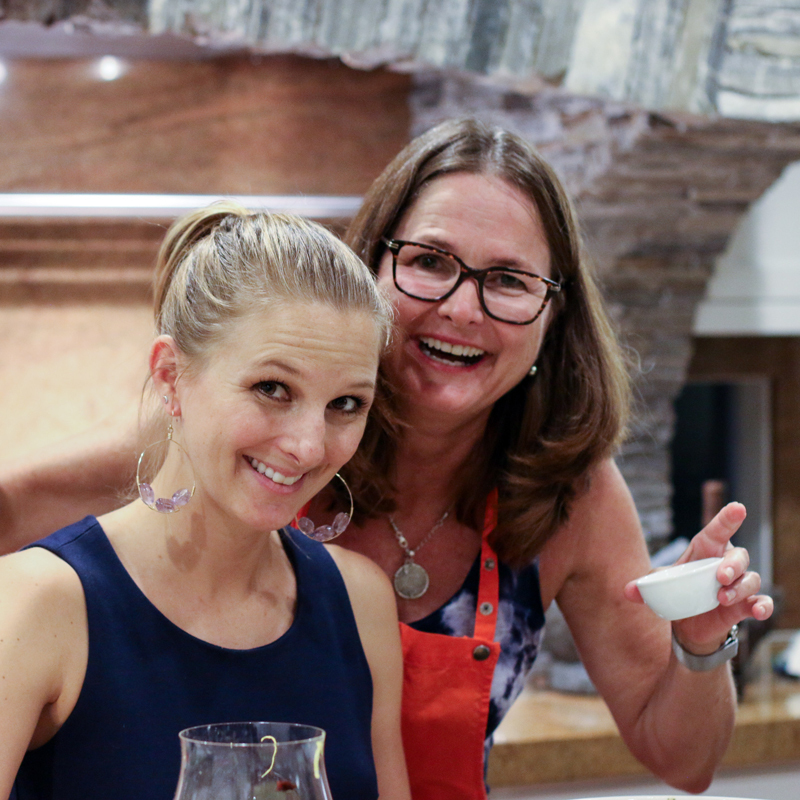 Check it out before you start this recipe. The technique is simple, but there are a few important steps. Once you have the technique down you can customize these sandwiches to include all your favorite ingredients. These sandwiches can be made a day or two in advance and will keep in the fridge for four days. The ingredients in this sandwich can be expensive. Trader Joe's has all of the ingredients and is probably the best bet for minimizing cost. 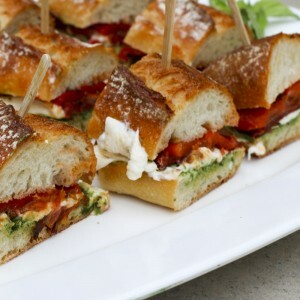 Densly packed with classic antipasti ingredients, this sandwich is vibrantly flavored. Serve these sandwich bites as an appetizer, take them on a picnic or a hike, or brown bag them for an awesome workday lunch. Put the mashed garlic and balsamic vinegar in a small bowl. Whisk in the olive oil to create an emulsion. Add dried basil and salt and pepper to taste. Set aside. Split the ciabatta in half by slicing through lengthwise so you have two large flat pieces of bread. (See photos below.) Place the halves facing up so the inside of the bread is facing you. Using your fingers, remove as much of the soft bread as possible, leaving the crust intact. You are making room for all of the good stuff. The interior of the bread can be saved to make homemade bread crumbs. Divide the goat cheese into two portions and spread each half of the ciabatta with half of the goat cheese. The goat cheese serves to create a moisture barrier that will keep the bread from getting mushy. Starting with the bottom half of the ciabatta, build the sandwich in layers. Start with prosciutto, add the red peppers, the bocconcini and the pepperoncini. Drizzle half the dressing over the pepperoncini. Continue layering the salami, the artichoke hearts, the provolone and the basil. Drizzle with remaining dressing. Spread the inside of the top half of the ciabatta with pesto and place it on the top of the sandwich. Wrap the sandwich tightly in plastic wrap and place on a tray. Weight the sandwich down with something heavy. I use a large rock, a cast iron skillet and a brick - the heaviest compact items I can find. Press the sandwich for at least four hours and up to 24 hours. When you are ready to serve it put 28 toothpicks in the top of the sandwich in four rows of 7 toothpicks. The toothpicks will be about 1 1/2 " apart. Slice between the toothpicks. What an elegant appetizer with all those different flavors in one bite. Definitely going to serve these at our next party! Thanks Debbie, they are little flavor bombs. We have a French inspired Brick Sandwich coming out next week. Be on the lookout for it!